Swell gets out of your way by running in the background, tracking changes made to your existing Adobe Flash (.FLA) file and saving these changes in a local database. Swell is useful for creating graphs or a timeline of your animation progress. Have multiple Flash projects? Swell can handle it. Swell was made out of frustration over the fact that I needed a way to track how long I was really taking just to create a single flash cartoon. And to show this in a nicely formatted report to people who are interested in the evolution of a flash project from start to finish. This guide assumes you have read the requirements. Take a look at the 5 step installation. Then take a look at the usage page. If you find any bugs please file an issue on GitHub. Would like to contribute to swell? contributions are welcome! Please look at TODO.md to see what needs to be done. Please DO NOT commit directly to the master branch, instead work on your own branch, commit changes and then pull request. 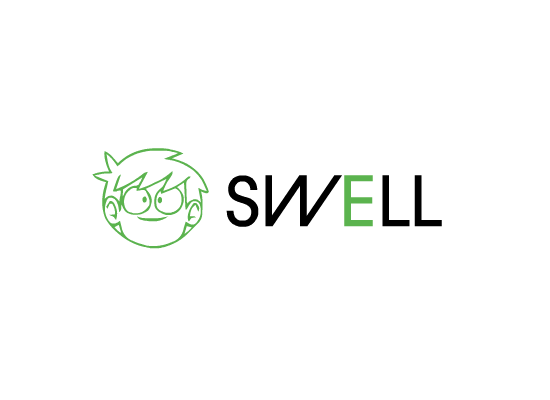 The inspiration for the name 'Swell' is based on a phrase used by the late (but great) animator Edd Gould, creator of the web flash cartoon Eddsworld.